Click on any of the four Ministry topics below to display committees. Volunteers are always needed to make our Liturgical Celebration a reflection of the community spirit you will find here at Saint Francis de Sales Parish. No age limit or special skills needed. Our weekly sign-up schedule is on the table across from the Virgin Mary’s altar. All are welcome and encouraged to participate in the Mass. Click on any of the ministries below to review details! Are you comfortable reading in front of others? If so, serving as a lector at Sunday Mass is a perfect opportunity to share your skills. Lectors can volunteer as frequently as they desire to read one of the first or second liturgical readings, or deliver the weekly petitions. If you are interested in learning more about serving as a Lector, sign up at the volunteer table in front of church. You can’t get any closer to the action than by serving Mass! New servers are always welcome. Once you sign up, you’ll be contacted to discuss orientation and a schedule that matches your availability. Email the church office at info@stfrancisds.com if you would like to volunteer to serve mass. Eucharistic ministers assist in distribution of Communion at Mass. We need five Eucharistic Ministers at each Sunday service. Because of this, we can never have enough Eucharistic Ministers who are ready to assist when needed. Please sign up on the volunteer forms in the front of church. St. Francis de Sales has cultivated a reputation for welcoming all people to our parish services. What a better way to deliver that message than to greet parish members and visitors as they enter church. It’s also a great way to interact with the congregation and assist with any questions or concerns. The schedule for greeters can be customized to meet your needs. Simply sign up on the signup forms in the front of church. Distribute Sunday bulletins prior to Mass. We need a bulletin distributor at the front and back doors of the church for each Mass. Assist with the weekly Mass collection before the Offertory. It is preferred that we have four individuals to assist with collections at each Mass. You can sign up on the forms in front of church and pick a schedule that matches your availability. Presenting the Offertory Gifts does not require any special skills, but it represents a significant part of our Mass as we present our gifts to God. It is a great opportunity for a group of 2-3 individuals to represent our congregation in making this presentation at each Mass. Sign up on the forms in the front of church or let one of the Greeters know before Mass that you’d be interested in assisting with the gifts. Work with children during the liturgical readings in parish residence. If you are over 18, fingerprinting and one time mandatory attendance to Decree on Child Protection session is required by the Archdiocese. To sign up for Children’s Ministry, please contact Gail Miller at (513) 921-3208 or Click Here to Email. If you enjoy singing, why not join the choir? The choir meets for practice on Thursdays at 7:00 pm during the Fall-Spring seasons, as well as every Sunday, 30 to 45 minutes before mass. Click on any of the ministries below to review more details! The clean up ministers meet at the Church on Saturdays between 8-10 am to do some general cleaning. Duties can include dusting, sweeping, vacuuming and various other activities. We welcome your assistance anytime you can make it. The more volunteers we get, the quicker this crew gets finished! Our Church is a beautiful, historical building for all to appreciate and enjoy year-round. Like any facility though, at times things deteriorate and need repair. If you have skills or resources that could be of assistance with facility support and advice we always welcome these resources. Please feel free to email us at info@stfrancisds.com, or call the office at 513-961-2257 to add your name as a resource should a need for maintenance skills and support arise. If you still like getting outside, playing in the mud and getting dirty, this is a place for you! Help plant and care for the flowers that beautify our grounds. You can sign up for an hour or two or a season long commitment to water. We have plenty of options and welcome all support! The offertory candles all around our church require ongoing attention. Replenishing extinguished candles, cleaning candle glass, and general cleanup are done on a weekly basis. Contact us if you can lend your support. On a liturgical season basis, the decorations change in the church. Some decoration efforts require many more resources than others, such as the Christmas season. This committee needs some folks with strong backs, and others with decorative expertise. If your interested in helping, I’m sure we can find a use for your skills! We all know our winters can be unpredictable! Hopefully this is a group of volunteers that we seldom need to call on, but in most winters, we will need some help. If you can offer your support by putting your name on a call list for snow removal it would be appreciated by all. Aiding our pastor with his pastoral duties is a great way to get involved and share your gifts with the community in a way that no other ministries offer. The Parish Council is an advisory board to the Pastor, which guides and maintains the overall spirit and functioning of the parish by assessing current needs, pastoral priorities, long-range planning, and other strategic issues that affect the parish as a whole. A minimum of nine people serve on this Committee for three-year terms or more, along with the Pastor and Principal of Saint Francis de Sales School serving as two additional ex-officio members. The Pastoral Council also maintains contact with other committees and ministries. Members are recruited and voted in by seated Parish Council. This committee reviews the annual budget and financial statements, recommends capital improvements, and organizes the offertory enhancement drive. It also serves the financial procedures of the parish office, makes long-range projects, and offers evaluation and recommendations on the basis of this information. Members serve on this committee, along with the pastor, for three-year terms. The Finance Committee meets about four times a year. For more information regarding the Finance Committee, contact the office at (513) 961-1945. This committee, while new, is exploring all the venues available to us that will help us grow our church and to offer religious education to our young members. We have recently started the program during the 11:00 am mass that allows children to go into the parish residence to read and talk about the Gospel with other children their age and to learn about the parts of the mass at their level of understanding. The younger kids can look at or read Bible Storybooks with one of our volunteers. It is our goal to eventually offer a complete CCD program for our children. For more information or to get involved contact Gail Miller at (513) 921-3208. Our Hospitality Committee generously gives of their time acting as a liaison between our Parish and the couples being married here at SFDS. Hospitality Committee Members act as the face of SFDS and hosts welcoming guests to the Church on both the evening of the rehearsal and on the day of the wedding. If you love working with people and enjoy weddings, then this is the ministry for you! Email Kathy Momper or Peggy Smith for more information regarding serving on this committee. Lenten Soup Supers which brought parishioners and others together to share a meal, pray and converse. This Ministry consists of about a dozen members but is always seeking new members and all are welcome. While the Prayer Chain does not meet as a group, they are in communication through phone and email. To join the Prayer Chain or make a request, please email Jane Smith or call at (513) 233-3187. Join our Parish Prayer Group – an ecumenical Meditation/Contemplative Prayer group that meets every Monday at 1:00 pm and Thursday at 7:00 pm in the church undercroft. Beginners and experienced alike are welcome to take part in this ancient form of silent prayer. For more information on this ministry email Jane Smith or call at (513) 233-3187. If someone you know would like to become Catholic, or you would like to participate as an instructor in the Rite of Christian Initiation for Adults, please call the Parish Family Office at (513) 961-1945 with any questions. Our parish actively supports several important community service programs in our area with support from donations and the volunteers who share their talents with others. The mission of the Center for Respite Care is to provide quality, holistic medical care to homeless people who need a safe place to heal while assisting them in breaking the cycle of homelessness. St. Francis de Sales Parish has long supported the care center through numerous volunteer efforts that include group meals, maintenance services, and fund raising. 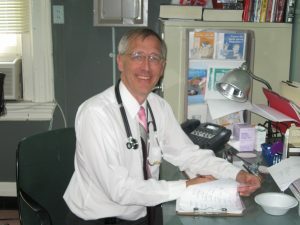 To learn more about the care center, please visit their website at www.centerforrespitecare.org. There are multiple opportunities for you to volunteer at the school and either use your skills or pass on some of the knowledge you possess to the younger generation. The school needs volunteers for After School Tutoring, Cafeteria and Classroom Helpers. For tutoring and other volunteer opportunities available, please email Ms. Joanne Browarsky or contact her (513) 961-1953. Click Here to visit the website for our school. Purcell Marian High School also has opportunities for you to volunteer for school tutoring at the secondary level. Please email Sr. Janet Linz or contact her at (513)751-1230. Provides Senior Services, Education and Home Care. You can make a difference as a volunteer, sharing your talents in a variety of ways, such as delivering food items to seniors’ homes, tutoring a GED student, or helping with fund-raising events. If you would like to share your time and personal gift of service, email Shelia Kinnen or call at (513) 751-2500. Visit their website to learn more about their services. Mary Magdalen House is an oasis for persons in need, to shower, shave, brush their teeth, have their clothes laundered, have use of a phone and have a place to receive messages and mail. The staff believes that dignity is the beginning of hope. In the last year, generous staff, volunteers and benefactors provided 20,477 services to 1929 men and women. Donated items can be dropped off at our parish office or in church on Sunday mornings. Please indicate that your donation is for the Mary Magdalen House.